Treating the gums. Sometimes, sensitivity is the result of inflammation. Directly, the cause is that the root surface of a tooth surrounded by a periodontal pocket (filled with bacteria, yuck!) has lost the coverage of cementum, a layer of material that exists between the gums and the root. When periodontal pockets form, bacteria degrade this biofilm, which leaves the nerves of the tooth susceptible to irritation. To resolve this issue, we may suggest a deep cleaning of the area beneath the gums. Applying veneers. Front teeth that are sensitive may ache due to a degraded overlay of enamel. 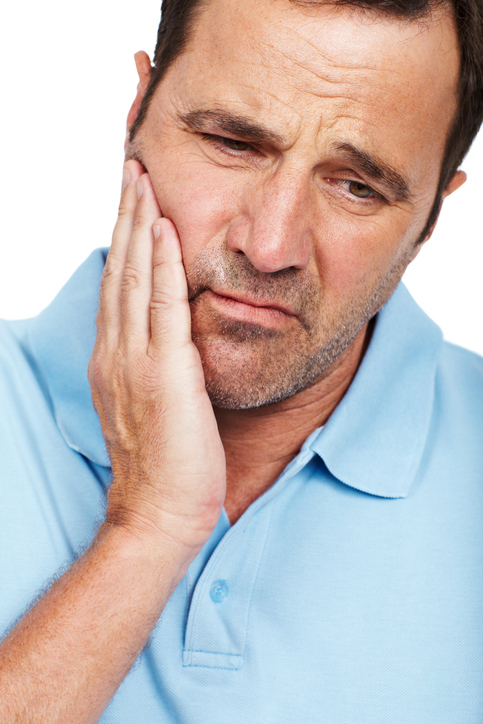 Tooth erosion can occur anywhere in the mouth, usually as a result of too much acidity. Erosion may present cosmetic problems, as well as sensitivity. Placing a lifelike veneer over the surface of a front tooth or teeth resolves both the cosmetic and the physical consequences of erosion. Covering the full tooth. Back teeth cannot be veneered, but they can be covered with a dental crown to fortify the entire structure. Usually, we think of crowns as a more substantial method of repair, used when a tooth has been badly damaged. In the case of sensitivity due to erosion, a crown may be an excellent option for restoring comfort. Tooth sensitivity can diminish your quality of life. Get the care you need to regain comfort when you visit Ridgeview Family Dental in Windsor, Oak Grove, or Warrensburg.